Over the past three years (2010-12), 458 yearlings have been sold through the Keeneland September sale that were the produce of either grade I-winning or grade I-producing dams, or the rare dams that are both. 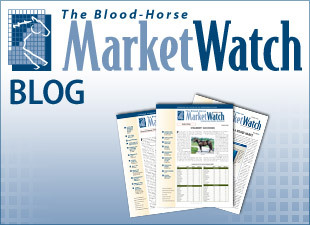 Buyers have responded similarly to the first two groups, averaging $206,994 for progeny of grade I-winning dams and $208,088 for grade I-producing dams. Less than 1% is all that separates the perceived value of the progeny of grade I winners and producers. Jimmy Creed was a rare Keeneland September yearling out of a grade I-winning and grade I-producing dam. 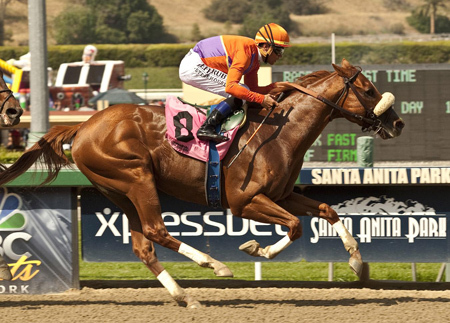 He went on to win the 2012 Malibu Stakes (gr. I). The track performance of these two groups is slightly more distinguishable. Of the sold yearlings out of grade I producers that have started, 4.6% have gone on to be graded stakes winners themselves, 2.9% of which are grade I victors. Of the starters sold out of grade I winners, 6.3% have earned a graded stakes win, 3.2% grade I. The progeny of the grade I winners have also yielded the higher earnings per starter, at $83,083 compared to $70,131 for grade I producers’ progeny. However, one group ranks higher yet in auction and track performance, and that is the elite group of yearlings out of a dam that is both a grade I winner and grade I producer. These few sold yearlings, totaling only 11 for the past three years, averaged $368,182 in the ring, over 50% higher than either of the other groups. Only four of these have started to date, but half are winners and one, Jimmy Creed, is a grade I winner.